its live debut in late 2013.
writing a winding Math Rock/Post Rock ballad for Secret Machines. the proceedings, a perfect compliment to the group’s expansive sound. 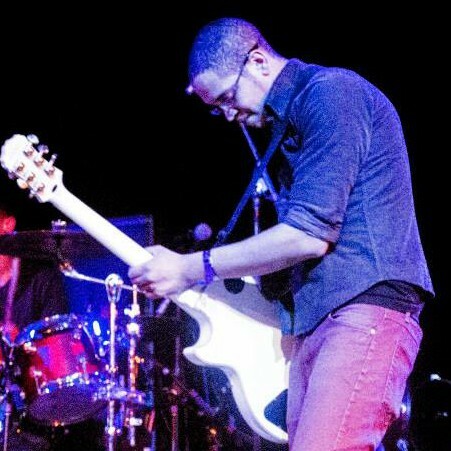 Devin Clarke picked up a guitar at fourteen. It was a junior-sized acoustic, enough to start learning, but his mind quickly turned towards electric. He then got a Washburn Lyon and a little lunchbox amp for his fifteenth birthday. A universe of music opened up to him, and he started out by teaching himself how to play his favorite songs. aspirations to do something with what they wrote. The Ibanez was traded out for an Epiphone, and they started looking for a drummer. At a temporary county job, Devin met Richard. They shared similar views on making music, and less than a year later, the band formed. twenty-two, he bought his first drum set at a garage sale. His passion for music took off on a new path. started a music blog. He went to school to study audio video production. To this day, he enjoys locking up in a room and playing for hours. When Richard met Devin, they talked music and quickly became friends. They talked about jamming sometime and did so for the first time about a month after those talks. 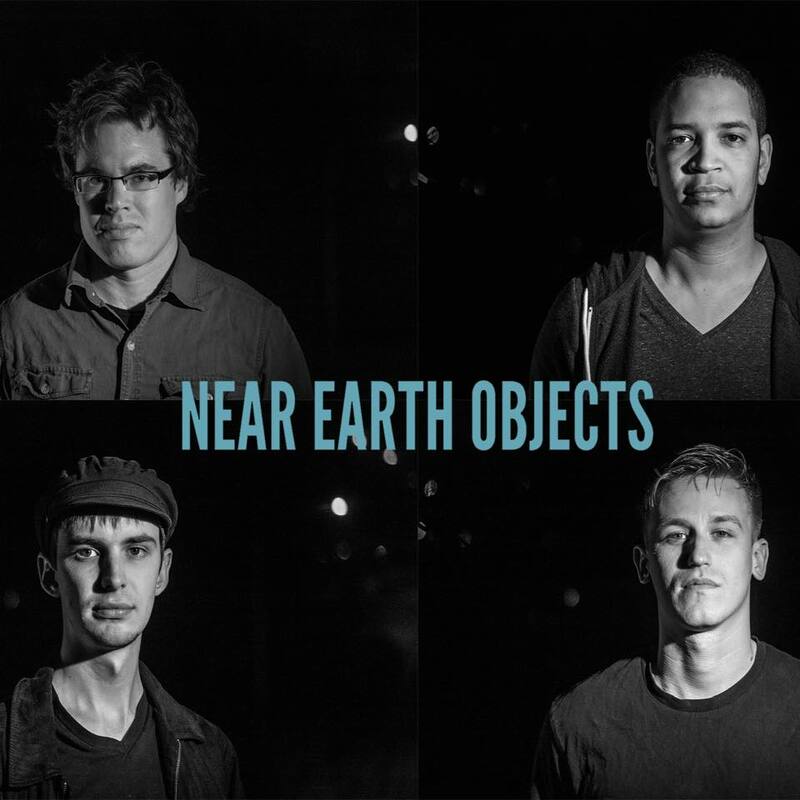 The jams turned into Near Earth Objects. played keyboards, tried at drums, and played a little guitar and bass. bass. 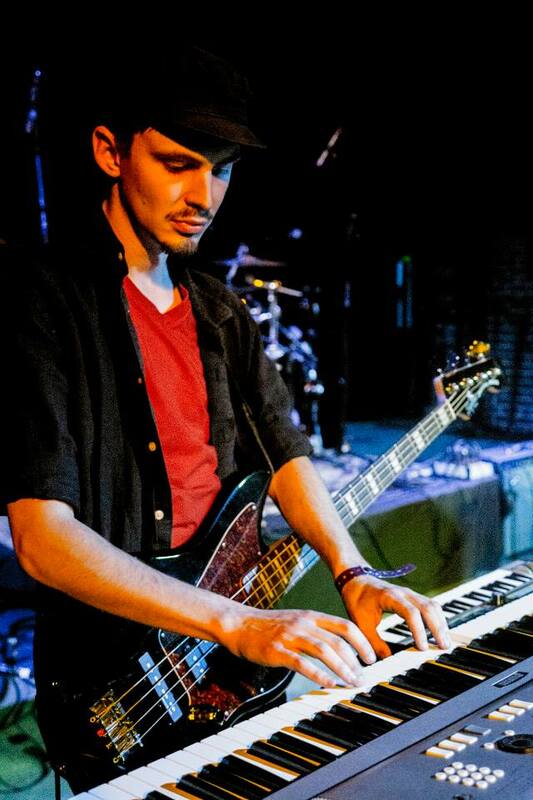 The bass was a lot of fun to play, though he barely knew how; he’s learned a lot since then. Leland started out on a ¾ size Gretsch, and soon upgraded to the Squire Jaguar he plays today. Leland had met Richard only a couple times before they had their first jam. But it was clear to Devin, Richard, and Leland that from early on, NEO’s sound was both intriguing and unpredictable. They spent a couple years developing their chemistry, and then landed their first show at The Comet in Cincinnati. Daniel Walton picked up the cello in fourth grade after hearing a local string program present the instrument in his elementary school gym. According to his mom, he ran out of the gym and rented his first cello without waiting for parental approval; that enthusiasm has stayed with him ever since. He played in classical settings through high school and college, becoming first chair of the Centre College Orchestra at age 18 while earning a degree in music. 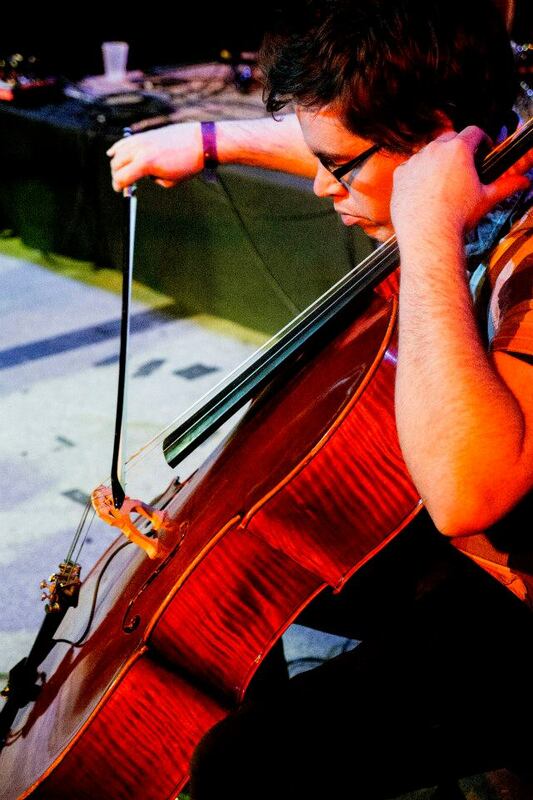 Once he left college, Daniel began to explore less traditional applications for the cello. At grad school in Urbana-Champaign, he played for a psychedelic disco recording project, a country-rock cover band, a post-rock four piece, and even an old-school metal group. He soon outfitted his instrument with an electric pickup, letting him compete with the roar of guitars and drums. Daniel moved back to Cincinnati after grad school and met up with the other three members of NEO when looking for a new project. 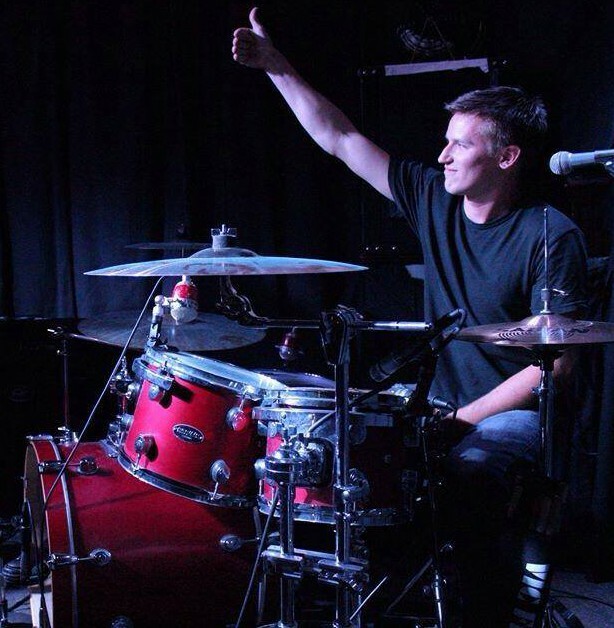 While the band had initially wanted to use him for a track or two, the musical direction that emerged soon led to Daniel joining the group as a full-time member.